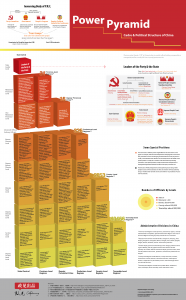 Junru is a freelance infographic designer for the Chinese webiste CNPolitics政见（CNPolitics.org) This is a piece on the rankings of Chinese officials (Cadre). 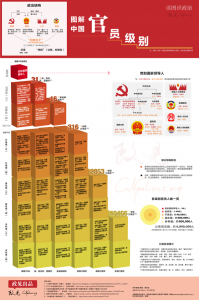 Click on the left one to view the Chinese version of the inforgraphic. Click on the right one to view the English version.